The Aude department consists of wine lands varied. Located between ocean, mountain and plain , strong climate change bring on the vine many differences between soils. Apart from this geographical feature , Aude wines are responsible for a typical originality linked to their natural environment : an ancient stony ground . There are 17 distinct areas , controlled the department name. We will focus particularly wine Corbières and Fitou to stew Limoux from the nearest Axat areas . Corbières wines (AOC Corbières ) . 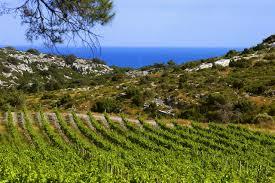 The Corbières vineyards , vast land, has the advantage of a favorable environment for the development of its climate vineyards : the sun and the wind which ensures a good sanitary condition. Over the years, the last fifteen years , vintners have conducted a campaign re- grape and learned new methods to improve the quality of their wines , now recognized as worthy of the best raw tables. Its production lands are vast because extend Carcassonne ponds north of Leucate , the foothills of the Pyrenees at the foot of Black Mountain in the south, with 11,800 hectares. Production of 550,000 hectoliters per year , this vine is operated on a variety of soils : marl , shale , limestone and sandstone. These soils in hilly area are on average 400 m that define many massifs. Some of these lands have the Mediterranean climate and are often surrounded by scrubland while other sub sea winds are more full of moisture and undergo temperature differences more mixed. 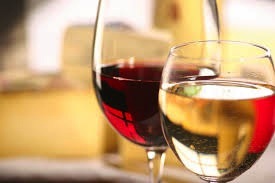 The grapes used for red and rosé wines are Mourvèdre , Cinsault , Grenache black , Syrah and Carignan while for white wine white grenache and maccabeu be chosen. Corbières red wines with complex aromas of roasting due to the exceptional exposure to hot Mediterranean sun (especially on the eastern lands ) providing good maturation of the grapes. Overall this is a wine called ‘ fleshy ‘ that exudes a beautiful elegance with a good aging potential (ability to age well ) . White Corbières wines are for their rich aroma of exotic fruits, often defined as broad and balanced. The rosés are defined as fruity and light . In the southern extension of the Corbières , the vineyard has two distinct areas : the first is located on the edge of the lake of Leucate on the surrounding hills , the second is planted in the hinterland, in the Corbières around Tuchan basin , in the town of Villeneuve des Corbières . 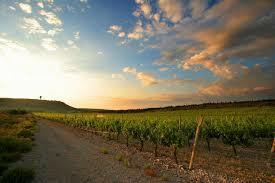 The vineyards of Fitou wine spans 2,600 hectares and produces 93,000 hectoliters. Both of these areas are quite remote vineyards , wine despite the same name , does not enjoy the same acclimatization. The first is a largely influenced by the Mediterranean with low rainfall offset by moisture charged by the sea breeze area. The second separated from the coast by a natural rocky barrier thrives in a drier climate , increased by the north wind that sweeps the floors . These wines are defined as wild and powerful. Their wine made ​​in the traditional way in oak barrels can last for several years without problems . The aromas of these wines have the distinction of being spicy aftertaste with scents of the garrigue . Plus they are left long winemaking more it emits strong scents of leather and candied fruits. 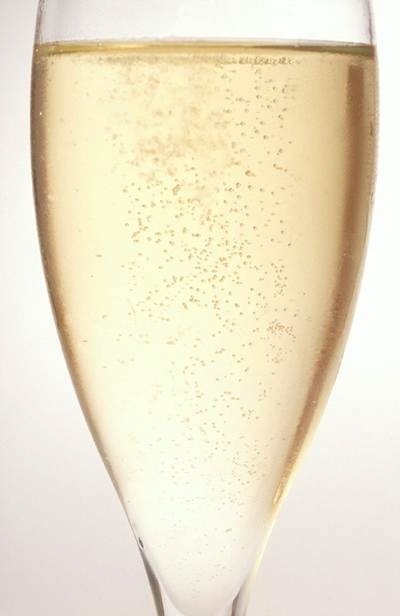 Born in 1531, Blanquette de Limoux is the first known wine bubble and one of the oldest AOC in France . Located in the upper valley of the Aude vineyards extend between the plates and the Chalabrais Lacamp with an area of ​​1,420 hectares and a production of 75,000 hectoliters. This is a sparkling wine. The vineyards are located on a calcareous clay soil light and stony , in a protected marine winds by its isolation in the middle of natural protection area. The Chardonnay , Chenin and Mauzac enter the comosition three white wines : the ancestral method stew – stew Limoux – Crémant de Limoux. The wine is made in oak barrels . This is Chardonnay is most present in the mixture , it brings notes of candied citrus . Chenin favors floral notes , aromas of plum and peach , with mauzac tends to scents of green apple and pear . There is also a red wine from Limoux with lesser known varieties such as Merlot added other varieties. This wine has a taste then prune with a hint of liquorice . The slopes of Languedo Clape – The Minervois – Cabardès – Minervois la Livinière – Muscat de Saint Jean de Minervois – Saint Chinian – Faugères – Coteaux de Languedoc – Cabrières – Pinet Picpoul – Clairette du Languedoc – Montpellier Sandstone – Frontignan Muscat – Muscat Mireval – Saint Georges Orcs – Muscat de Lunel- Verargues – Saint Drezery – Lands Sommières – Pic Saint Loup- Montpeyroux – Terrasses du Larzac – Saint Saturnin . Good tasting of wines from the Aude and Languedoc Roussilon in France !